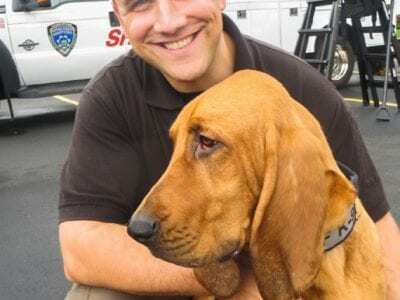 Putnam Sheriff’s Investigator Randall Hill and his bloodhound Chase, when the K-9 joined the Putnam Sheriff’s Dept. Joan, a 59-year-old Lake Carmel woman, decided to take a hike in the Michael Ciaiola Conservation Area in Patterson with h… Please login below or purchase a subscription to the Putnam County Courier to access this content. Firefighters battle a blaze that destroyed one of Putnam’s oldest homes located in Mahopac Falls Tuesday evening. 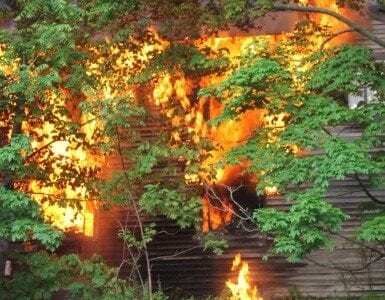 A three-story wood frame home constructed in 1906 was destroyed by fire Tuesday night in Mahopac Falls despite the efforts of 100 … Please login below or purchase a subscription to the Putnam County Courier to access this content. In Carmel, former American Legion Commander Sonny Robaitaille recalls fallen comrades. 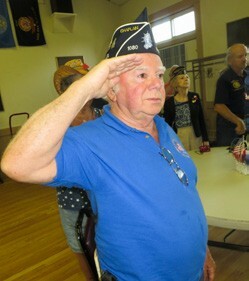 Memorial Day observances recalled Putnam’s fallen heroes at ceremonies countywide. Sweltering heat and humidity greeted attendees at ceremonies in Lake Carmel and … Please login below or purchase a subscription to the Putnam County Courier to access this content. 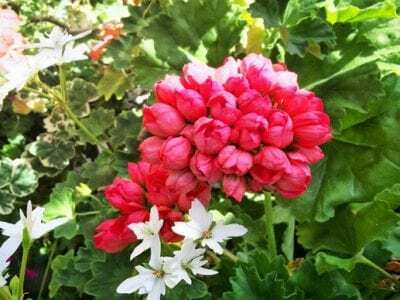 Pictured here are flowers from Stonecrop Gardens. Voted “Best Garden Tour” in the Hudson Valley, Partners with PARC’s 10th Annual Putnam Secret Garden Tour will be held on Saturday, June 4. The day-long event will showcase gardens a… Please login below or purchase a subscription to the Putnam County Courier to access this content. QSY Society Amateur Radio Club’s June meeting will be held Tuesday evening, June 7, at the East Fishkill Community Library. This month’s topic is Field Day prep. Field Day is the single most popular on-theair event held annually in the U… Please login below or purchase a subscription to the Putnam County Courier to access this content. VFW Commander Tim McArdle congratulates Daniella Nardini as her proud grandfather, Angelo Bergamasco, looks on. 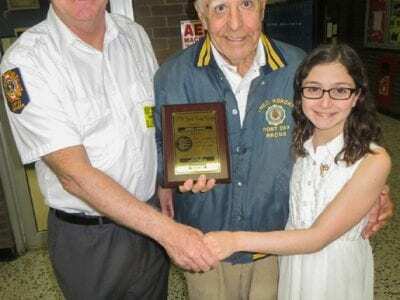 The Mahopac Middle School was adorned in red, white and blue last Wednesday when members of the school’s National Junior Honor Socie… Please login below or purchase a subscription to the Putnam County Courier to access this content. Putnam County sales tax dollars are continuing to climb, usually a sign of an improving economy. Commissioner of Finance William Carlin issued the county’s monthly sales tax report at last Wednesday evening’s meeting of the Legislature&r… Please login below or purchase a subscription to the Putnam County Courier to access this content. Reports of speeding exotic cars traveling northbound on Route 22 through Southeast and Patterson resulted in the arrests of dozens of drivers by State Police and Putnam County Sheriff’s Department personnel over the long holiday weekend. Patro… Please login below or purchase a subscription to the Putnam County Courier to access this content.